Have you ever gotten to the point where you feel like you can’t blog anymore? 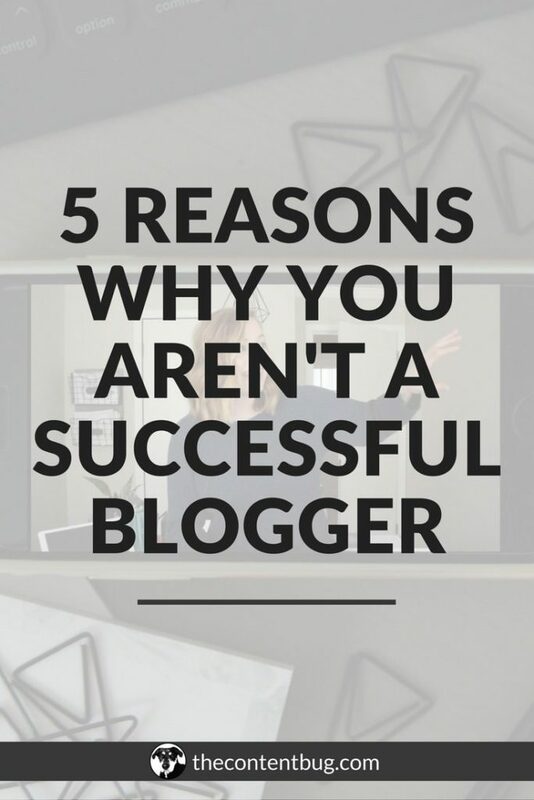 You’re running out of ideas, your creativity is failing you, and you get caught up in the comparison game being envious of other blogger’s success. So you tell yourself that you need to take a break from blogging for a little while and that you’ll start blogging again in a month. But you want to know what happens to most bloggers when they hit blogger burnout? That’s why you see so many beginner bloggers but you don’t see as many successful bloggers. Over the course of time, people drop out of the game. It gets too challenging or they don’t think they can actually be successful so they just stop. I’ve seen this happen to several bloggers who got started around the same time I did. When you’ve been blogging for awhile, you’ll start to realize who is in it for the quick buck and who’s in it for the long haul. I’ve never experienced the “blogger burnout” that a lot of bloggers talk about. I’ve been lucky I guess. But to some extent, I don’t consider it luck at all. I think it’s because of my honest passion for what I’m creating and the blogging strategy that I created for myself. With a plan for growth, I know that I will continue to grow my blog. I don’t feel like I’m just spinning my wheels and writing to an empty room. I feel like I have a purpose. It’s what keeps me moving even on days where I feel tired and I don’t want to work. It’s what helps me wake up in the morning and feel excited about what lies ahead of me. My passion and my strategy are what have helped me the most to avoid blogger burnout. 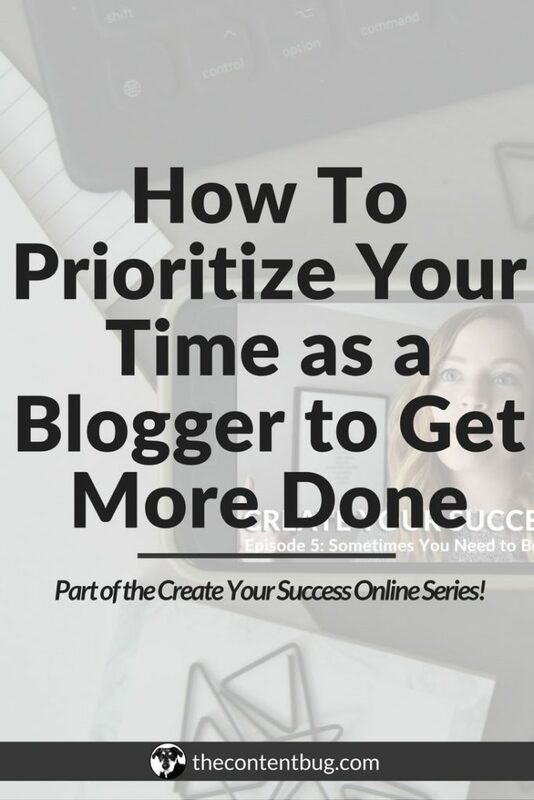 And in this post, I want to give you some tips as to how you can find passion in what you’re doing and create a strategy for success so you too can avoid “blogger burnout”. I’m going to guess that you started a blog because you were passionate about something. That could have been a passion for your main subject matter or a passion for blogging in general. Passion is what helps us get started. But over time, that spark seems to fad behind the scenes and you need to constantly remind yourself why you got started. Why you’re doing what you’re doing and why it’s 100% worth it. So let’s talk about your purpose. These days, I feel like everything I see related to your purpose. And it’s often said that if you want to be successful or if you want to find self-awareness, then you have to be in tune with your purpose. But what the heck happens when you have no idea what your purpose is?! If I was sitting across from you right now and asked you to tell me what your purpose in life is, would you know how to respond? What if I just asked about the purpose of your blog? For so long, I thought that I was purposeless. I didn’t have light in my life to see everything that was good. I just focused on everything that was bad and wondered why the heck I was given this life. But after a shift of attitude, I not only discovered everything there is to be grateful for. But I also realized that I did, in fact, have a purpose. Now I’m not going to bore you in this blog post by going over my whole life story and how I discovered my purpose, but I will tell you this. Your purpose is always changing. One year it might be one thing. But 10 years later, it could be something else. The only thing for certain in this world is change. And your purpose is subject to that change. So go with it. Accept where you are at in your life right now and try to draw meaning from everything. I believe that my purpose at this moment is to help people feel comfortable and proud to be themselves and chase their passions no matter what society, family, and even friends try to tell you. That’s my purpose. And I’m using my blog to help fulfill that. 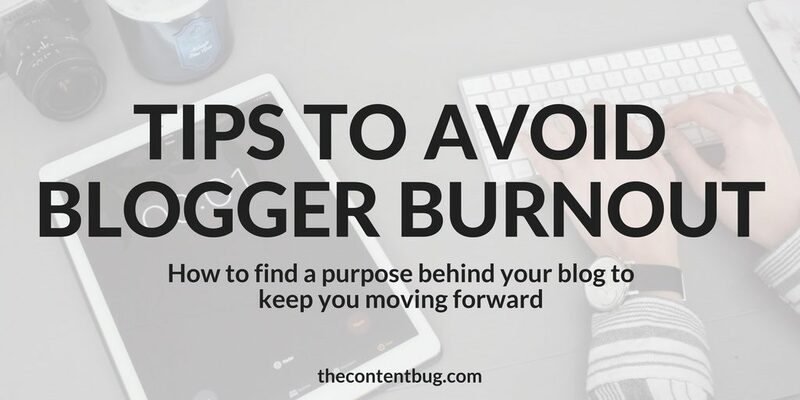 Your purpose is most definitely going to align with your blog whether you know it right now or not. You were placed on this Earth to do what you are doing. Even when it comes to your blog. And there is a connection! I promise! 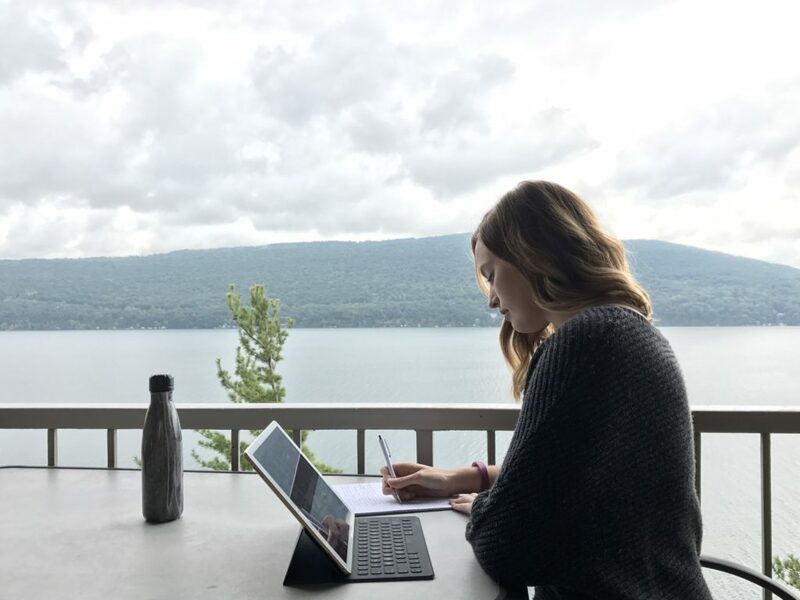 If you already know the connection between your purpose and your blog, then writing your blogging mission will be easy. But if you still have no idea what your purpose is right now, then this step might be difficult for you. Your blog needs a mission. Just like every business in the history of time has had a guiding mission, you need one as well. Consider this your northern star guiding you through everything that you do. If you ever question where you should be doing something, ask yourself if it falls in line with your blog’s mission. If it doesn’t, then it’s time to walk away. Don’t be afraid to say no. I say no all the freakin’ time in my business. More than I let people know that I do! By saying no, I get to focus on what’s really important and feel inspired everything single day when it’s time to work. From the very beginning, you are told to stay within your niche. If you stay in your lane, you’ll create really specific content, you’ll appear as an expert, and your audience will grow. Now I’m not questioning this train of thought. I just want you to think about it a little bit differently. I’ve never been one to follow the rules. Heck, if you give me a set of rules or something to do, there’s a 90% chance that I’m going to do the opposite. So I’ve never been one to stay within my niche. Instead, I think it’s more important to stay within your blog’s purpose and mission. My blog’s purpose and mission are to help blogger’s purpose their passions successfully. So I talk about blogging, social media, SEO, email marketing, and more. All of those fall within my niche of digital marketing. But then I also talk about the entrepreneur mindset, work ethic, productivity tips, goal setting, and even creating strategies for growth. Those topics don’t fall within my niche. But they do fall within my mission! My blog would not be what it is today if I stayed within my niche. I would be stuck and I would be creating content just to create it. But since I have a specific purpose and mission, I allow myself to create content that I’m passionate about. Content that I know will help people to succeed online and create a success that they can be proud of. So stop worrying about staying in your niche and follow your blog’s mission instead. It doesn’t matter how many tips and tricks your read and try to implement on your blog, you won’t grow if you don’t have a plan for growth. 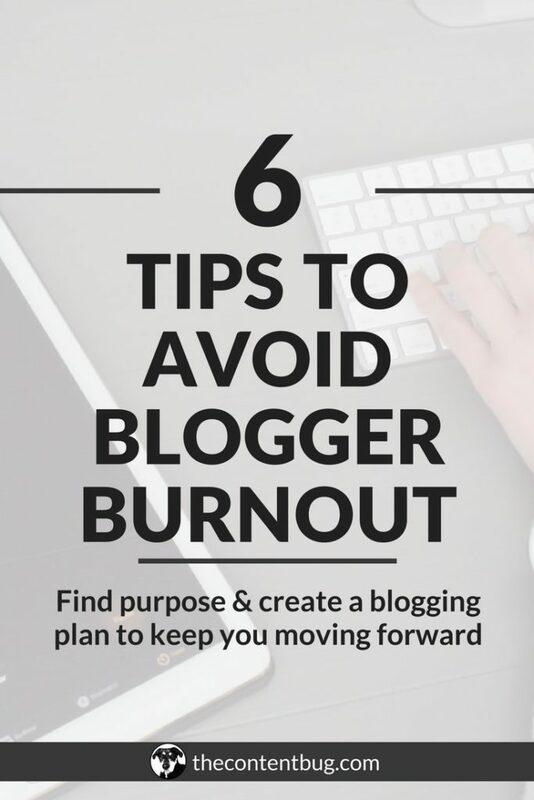 And this is why SOOOO many bloggers hit blogger burnout. So let’s stop the trend by learning the basics of creating a plan for growth. Before you can create a plan… HECK, before you can even set goals for your blog, you need to know what if working and what’s not working. Are your blog posts getting shares? What platform is generating the most traffic to your blog? Are you getting email subscribers? What email opt-in is performing the best? Are you making money? What ways aren’t you making money that you want to? Is your social media following growing? These are all things that you need to take into consideration! Determine what is working and what’s not working on your blog. The areas that you’re struggling with the most are the areas that you’ll need to create a plan around. So if you are doing great at growing your social media following, then that’s not going to be in your plan for growth! You’ll keep doing what you’re doing and focus the rest of your energy elsewhere. When I started my blog, I didn’t have a plan. I had no idea what I was doing and I just went for it. But since that ended up costing me over $300, I’ve learned to (almost) always have a plan. Now, I’ve achieved crazy goals I set out for myself. Including my main goal for 2017 to leave my full-time position to work for myself. 10 months after launching my blog, I hit that goal. A goal that I honestly didn’t believe I would achieve in the next 3 years. But I did it. And in just 10 months! Because I created a killer plan for myself, connected with the Universe, and put in the freakin’ work. And over the last 2 months, I’ve been working my booty off on something special for you. This month, I’m sharing all the secrets that have helped me to transform my blog into a business. 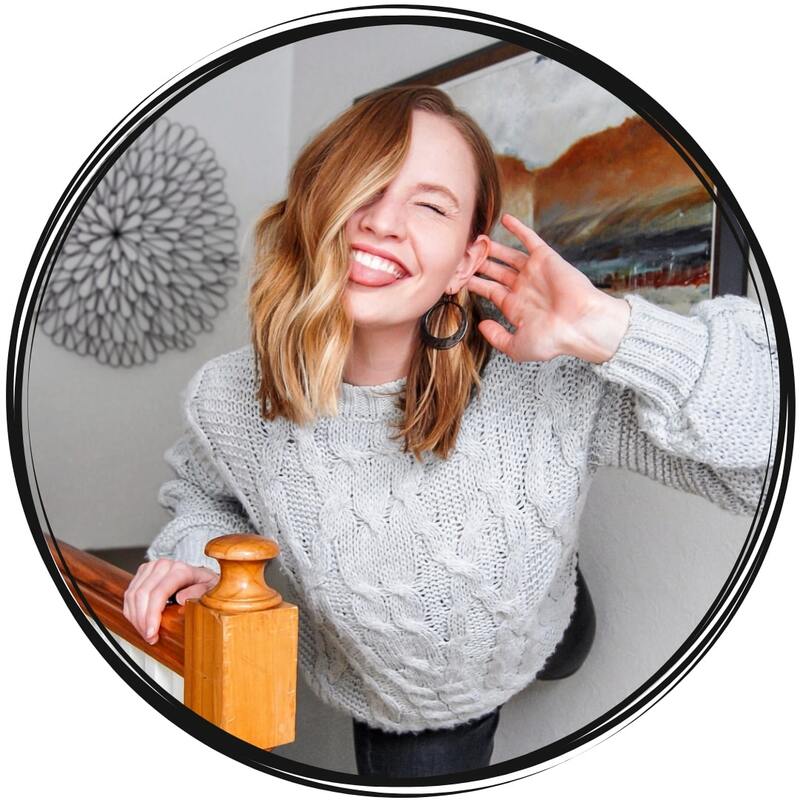 The strategies that lead me to over 640k monthly viewers on Pinterest, 10k pageviews on my blog, and over 1,000 keywords that I’m appearing for on Google. Plus how I went from generating 10 email subscribers a month to over 100 subscribers a month! All these strategies and more will be included in The Blog Biz Bundle launching in March 2018! This isn’t like any other online course or ebook you’ve seen before. Actually, I wouldn’t call it either of those things. That’s why I’ve called it a Bundle because it included videos, guides, templates, and more that is guaranteed to help your blog succeed. What if I told you that you could achieve more than you ever thought possible in 90 days or less? It’s possible! And your success is waiting for you right the other side. 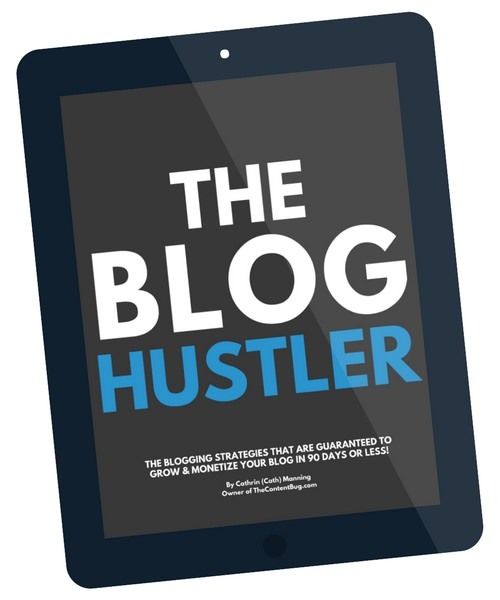 So if you are ready to create a plan, if you are ready to learn the secret strategies that have allowed me to grow my blog FAST, and if you want to learn how to turn your blog into a real money marker, then this bundle is for you. Sign up to be the first get access to the pre-launch sale and to learn more information about The Blog Biz Bundle! Life can get a little crazy and it’s easy to place your blog on the back burner when you aren’t in the mood to work. Having a planner that is designated to your blog will not only help you to stay organized, but it will also help you to get to work when you need to get work done! Sometimes, you need to fall back in love with blogging. And one of the easiest ways to keep that spark alive is by finding new ways to be creative! Constantly try new things and have some fun with it! Life doesn’t always have to be so serious. It’s much easier to produce content week after week when you know what you have to create. I like to have my content calendar planned out for the next 3 months. But planning all the content that is going to go live over that month is just as beneficial to give you a purpose. Comparison can be deadly. It’s important to remember that your only competition is the person you see in the mirror. So set goals for yourself! I like to set yearly and quarterly goals so that I’m constantly striving for more! I know that blogging can be stressful and sometimes you just need to rant! So whether you need someone to relate with on a stress level or if you need someone to bounce ideas off of, try meeting with other bloggers! I’ve met with bloggers in my local area as well as bloggers online through virtual coffee chats. A community will help you succeed! So start building your blog tribe. 6. Ask for help when you need it! We all need help. It’s better to admit it instead of drowning in your blogging struggles. Ask for help! Get a professional to design your website. Have someone talk your blogging photos. You can’t be an expert at everything. So focus on what you’re good at and ask for help for the rest of it. I want to end by saying this: blogger burnout is normal! So don’t feel like you are the only one that feels burnout and struggling with their blog. If you are feeling a certain way, there is someone else out there that feels the exact same way. What I want you to do is get that weight off your chest! Throw your worries out into the world by comment your biggest blogging struggle below. You may be surprised how many other bloggers are in the same spot you’re in. 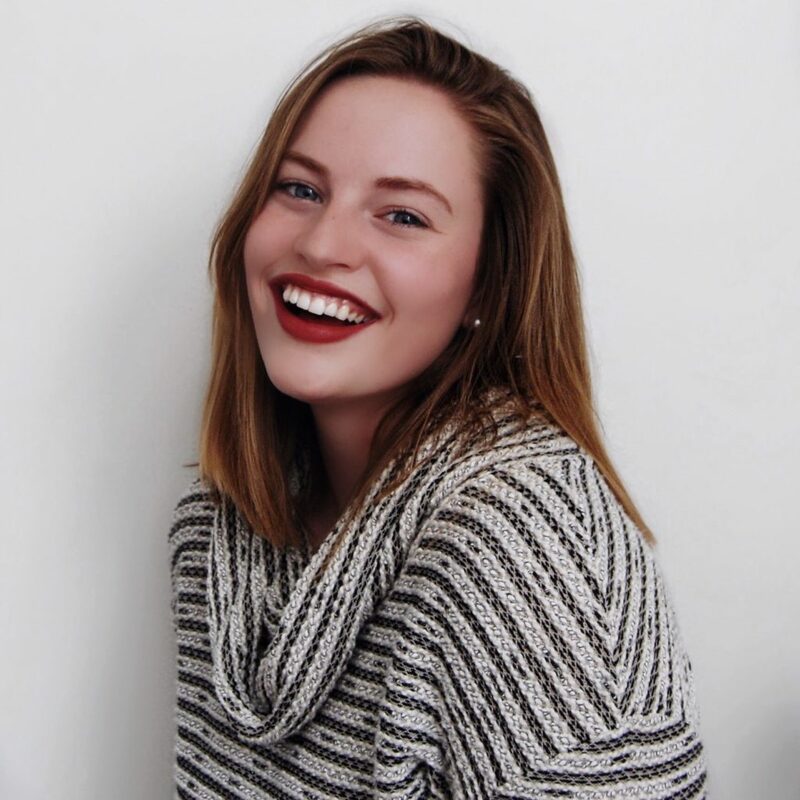 When I first started blogging I got connected with a lot of other bloggers who were also in the early stages of blogging. Some of them are still going strong 10 years later and doing extremely well, but many of them gave up in a year or less. The thing is, in a lot of cases there wasn’t much difference in the success or growth of those blogs during that first year. Some people had the mindset that it was going to take a while to have success and that they were on the right track, and others got discouraged because things weren’t happening as quickly as they expected. I’ve seen many bloggers that I thought were really good give up because they had false expectations about how quickly their blog would grow. I think one of the things that’s helped me to fight off burn out over the years is to come up with a realistic posting schedule. If you try to publish something new every day you’re probably going to burn out faster. That’s some great advice! 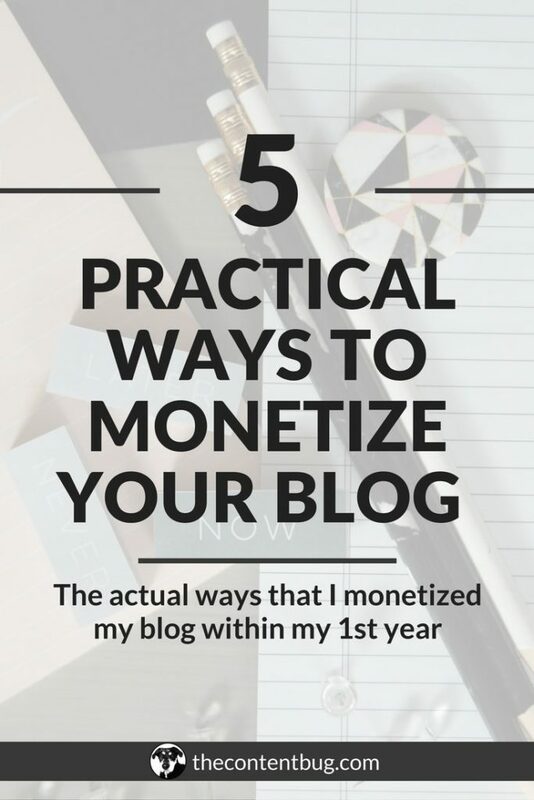 A lot of bloggers get started because they can make a quick buck. But if you only focus on the short game you will rarely make it to the success you are looking for! I love you tip for keeping a realistic posting schedule! I couldn’t agree more.